Is this word new or old to you? I thought I should mention it and most of the people in the West will be aware of this word. Since the regular readers of this blog include people from all over the world (according to the statistics I get on the hit counter meter) I always write common messages that can be understood by all walks of life. The same explanation comes very clear from Indian scriptures that my guru teaches and it is much to a greater depth but I prefer not to put it here since here the readers are most who want simple writings and understandings. Anyways, talking about the word lightworker, this is the word that I came across about 6-7 years back when I was looking for some self-help on the net during my transformation period. 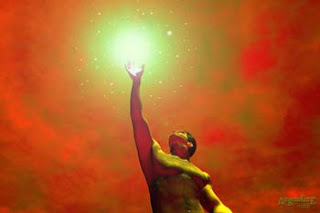 I understood soon that we all are lightworkers, meaning working for the light (positive, divine). It was very simple for me to understand that the turmoil that was going through me was nothing but an adaptation to accept more light into the physical body. When "one is ready" to undertake the journey back home (back light; where we came from) then this process triggers a number of physical and emotional problems. For more details on this see my previous article on symptoms of ascension. Slowly I learnt that the things that were happening is a normal process and nothing to be scared of. It took me more years to learn and understand a lot of things and I am still learning but in the process a lot of things were revealed to me. Everything now made clear-cut sense. Everything from why there is a fly around my desk to why someone caused me pain. Everything is crystal clear now and I thus take on the task of assisting people craving to know about it all. This blog is an attempt for all those new to the light, all those new to spirituality, meditation, or anything that seeks an inner transformation. Mother earth is also undergoing a lot of changes and in fact the entire Universe is. Everything is changing. Change is the law of the Universe. So with change, you cannot stand still. You have to move. Move upwards. Make that transition. You are blessed with the power to choose. With choice to transform towards positivity and goodness, you are helping yourself from distress. Distress that will come to those who refuse to change, refuse to transcend. You might say that you are comfortable and why should you change. You have to change because that is the law of nature. If you dont, nature changes you. You have to go with the flow of nature. If you resist, things could be very unpleasant. We knowingly or unknowingly try to resist the natural phases of life, the transitions of the soul. We tend to falsely assure ourself and falsely resist ourself in our own comfortable positions but one has to leave that position. Like one tries to cover up a wrinkle, implant hair for baldness, color hair for greying, inject hormones for staying young and so many attempts to stop the body from aging. It is so foolish not to understand that aging is a normal process. One has to grow old and greying, wrinkle, baldness, etc are signs of aging, which only means that you have entered another irreversible process of human life. Even if one attempts to stop this process, it is only a false outlook and one has to catch up with the process soon. But the more one refuses to accept reality, the more one suffers. I can imagine what a daily painful process is aging for someone who is so attached to one's looks and appearance and wants to retain them by artificial methods. They are everyday suffering from this pain of sustaining themselves. I can imagine what the thought of death can do to them. Death (of the physical body) also is a reality that one has to accept. One who is on the verge of death is given shocks and CPRs and what not to keep alive. Thus one suffers more with the only intention of keeping the breath and heart beat going with the satisfaction that someone is alive, but at what expense? These are some examples of how we are still confused with what change is and how it will always be there. On a higher level, such is also going on with your soul. Your ignorance and darkness is slowly being converted into wisdom and light. Slowly the layers of illusion and ignorance are being burnt (whether you are aware of it or not) so that you can see what the truth of life is, so that you can see why you are here on planet earth, so that you are reminded of what you came here for. You do not remember that between lives (that is time between your last life and this life) you had chosen to learn lessons as you did not learn it in the past life. You came here because you had some unfulfilled desire that you could not fulfill in the past. You came here because you had some karmic ties with other souls (positive or negative) that you promised to clear off in this life. But what truly happened is that the maya (illusion) took over you and forgot your purpose and got entangled in the world. Not only this, but created unknowingly in forgetfulness more karma that can debt you for a future life. The promises that you made remain pending ensuring that you clear them in another life.... and this cycle goes on and on viciously and you come, live, enjoy, suffer, and go. It is like a constant wander without a destination. This is when your guides and angels intervene and try to make you remember of what you have come for though so many sources. But, at the same time they all value your choice and they will never interfere with what you choose because the power to choose is the law of nature. If you choose positivity and goodness, you will get all the assistance you need for that transformation and clearing off your debts and experiencing the desires you came to experience. After that they help you transcend further back to where you came from - the light. All you need to do is open up, ask and you shall receive. The transition may not be easy because it will all depend on how much negativity and how much of unwanted loads of anger, resentment, etc you carry, but with patience and true understanding of what is happening and why it is happening, this phase shall also pass. If everything changes then so shall the negative phase change and pass. So, move on loved ones, you and everyone on earth will undergo this process. Make this process as easy as possible for you and the earth. Help the earth and its inhabitants and you automatically help yourself. As the year 2012 approaches, you will see more and more changes happening within and outside you. Go with the flow. Assist the happenings. Know that it is for your highest good though it may seem unpleasant. Move till you reach and become - The Light! Be a lightworker! 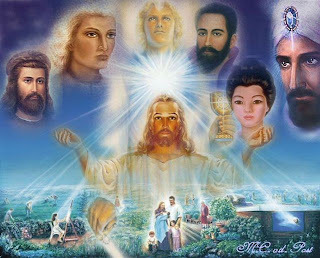 I read the channeling of a very powerful lightworker Steve Rother, someone whom I have been understanding and following so closely since years. He writes the same thing that I always think about and then I know how we are magically connected! We all are connected divinely and that is why you read this with so much interest and understanding and that is why you feel so good after reading it. I request readers to please give links of this blog to as many as possible so that we may extend the candle to light up the world as much as we can. Stay blessed! To read Steve Rother's wonderful message click here.